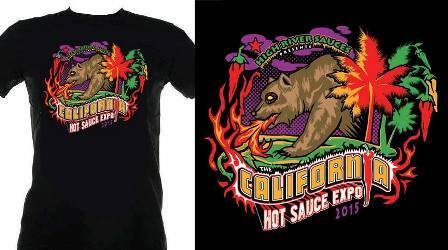 2015 California Hot Sauce Expo – I Love It Spicy! Building on the 3-year success of the NYC Hot Sauce Expo, Steve Seabury of High River Sauces is taking his show to the west coast this upcoming weekend on July 11-12, 2015. Located in Long Beach, CA at the beautiful and scenic Rainbow Lagoon Park, the inaugural event will test the elusive California Chilehead to see if this type of extravaganza is right for them. You can see by the map below how close it is to the beach. Which might be a good stop after Puckerbutt’s Guinness Book of World Records Smokin’ Ed’s Carolina Reaper Challenge. More information below about that along with the entire schedule of events. There will be some interesting eating competitions there that include Ramen Noodles (see the awesome trophy below by Texas Creek Products), Footlong Hot Dogs, Spicy Tacos, Spicy Burritos and it seems someone also wants to bring our Spicy Pizza Eating Contest west coast too. I hope they will do us proud since we were the innovators. Please keep the sprouts and tofu off my pizza you hippies!!! Beyond the eating competitions, California will crown the best Margarita on Saturday and the best Bloody Mary on Sunday. The winner of the CA Bloody Mary Mix Down will receive a $500 prize, Gift Bag & A Trip to the NYC Hot Sauce Expo to compete for the Championship! Now that is a prize and a half. Speaking of alcohol, one of the special qualitites of the NYC Hot Sauce Expo was the elite VIP Area, and Seabury is bringing a Cali version as well. For $100, (only 100 tickets sold for each day), VIP ticket holders will have an exclusive area where they can break away from all of the spicy action to cool down and enjoy complimentary cocktail tastings, food pairing samples and our favorite craft beers. General Admission is $10, and Steve also has another special pass for craft beer lovers for $50. The Craft Brew Package is a LIMITED TICKET that includes 1 General Admission for either Saturday or Sunday. Separate entrance for easy access into the venue. All access for the main stage competitions, 5 commemorative California Expo Drink Tokens that can be redeemed at the main bar. Included: Bottle of High River Sauces & CA Hot Sauce Expo T-Shirt. Not a bad price for what you will get. 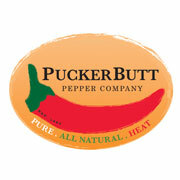 There is also some great spicy product vendors. My advice to you Californians and 1st show attendees, come for the day and spread yourself out so you have time to try everything and pause between burns. Even better if you come for both days. 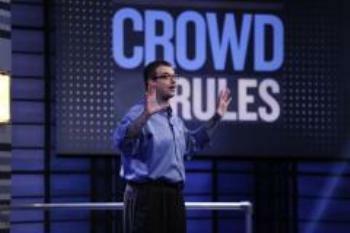 Take plenty of notes, so you do not forget your favorites as you go from booth to booth. Believe it is easy to forget with so many vendors and samplings/ Also talk to the makers and ask questions! They are very friendly people whose inspiration is to share their creative love. Do not be scared to handle a little pain, but stay clear away from the things way past your heat level. If you see the words scorpion, reaper and ghost in the ingredient list, you just might want to make sure you can handle the habanero first before jumping off that height. If you build a tolerance over the next year, you will find yourself back at the 2nd Annual California Hot Sauce Expo trying hotter things. That is fact. The stuff I tried at my first event which I thought was hot then is mild to me now. These craftsmen and women are quite the gourmands in what they do, and you will soon realize that you are having flavors you have never encountered before. Which is the beauty of going to these type of events. So enjoy and come back and tell us of your visit. Share your pics here and in our Facebook Chileheads groups. The California Hot Sauce Expo will feature some of the most insane, craziest eating challenges you have ever witnessed. These challenges aren’t for the faint at heart. These challenges who crush you. If you dare to enter please drop us a line at: info@cahotsauceexpo.com. Do you make the best Margarita in CA? Then enter today. Winner will receive $500 prize, Gift Bag & A Trip to the NYC Hot Sauce Expo to compete for the Championship! Can you beat the word record for eating the hottest pepper in the world? We Triple Dog Dare You!!! Enter Now!